It is a good time to take a look globally and see how oil is faring in the physical market. The fact is that as of yet, no glut can be seen when it comes to crude oil’s physical movement, strong fundamentals, and the floating storage are not accumulating either. On the other hand, the International Energy Agency (IEA) is reporting that commercial oil stocks in Organization for Economic Co-operation and Development (OECD) nations are already above the five-year average. This has led some market participants to wonder what action OPEC+ will take in what is being described as an “unmanageable” oil market — although the OECD commercial oil stock metric is largely irrelevant. After Brent crude reached $86 per barrel in early October, IEA reported that OECD inventories were likely to have risen by 43 million barrels in the third quarter, the largest quarterly increase in stocks since the first quarter of 2016. Earlier, OECD commercial oil stocks were below the five-year average and oil prices rose dramatically. Then, OECD commercial oil stocks were reportedly surging above the five-year average and panic set in. This scenario is not plausible. Prior to OPEC’s 175th ordinary meeting, both bears and bulls are contemplating the next Saudi output strategy. The bears are saying that Saudi Arabia needs the money, so it will produce more oil at a lower price. The bulls are thinking that Saudi Arabia needs the money, so it will produce less at a higher price. Ironically, some reports and market participants are stating that OPEC’s choices are getting harder and harder. This is a load of nonsense. A historical analysis of Saudi production versus price for years past shows that Saudi Arabia isn’t considering revenue maximization. It always turns out there is a physical need for higher or lower crude oil output. Saudi Arabia is not begging nations to buy its crude oil, nor is it withholding its output. Annually, for seasonal reasons, Saudi Arabia decreases production going from summer to winter as demand growth slows. After the International Monetary Fund (IMF) reported that next year Saudi Arabia needs oil prices above $73, on average, to balance its budget, reports surfaced that the net result was a fall in revenues, as prices declined more than volume increased. Prior to OPEC’s 175th ordinary meeting, both bears and bulls are contemplating the next Saudi output strategy. Now, concerns are further surfacing as demand is less than robust as per IEA reports. The logical action is that Saudi Arabia should decrease production to balance oil markets and stabilize the global economy. Once again, Saudi revenue maximization is not considered, while the burden and costs of adjusting oil production based on rational needs is shouldered by the Kingdom. Saudi Arabia, Russia and the US produce about one third of the 100 million barrels of oil the world consumes daily. In terms of market share, Saudi Arabia isn’t pumping more crude oil than at any time since its first barrel was extracted 80 years ago. Following talks with the Saudi Crown Prince Mohammed bin Salman at the G20 summit last week, Russian President Vladimir said the two nations “have agreed to extend our agreement.” This comment will likely be reflected at OPEC’s 175th meeting in Vienna to set the strategy of OPEC+ for 2019. 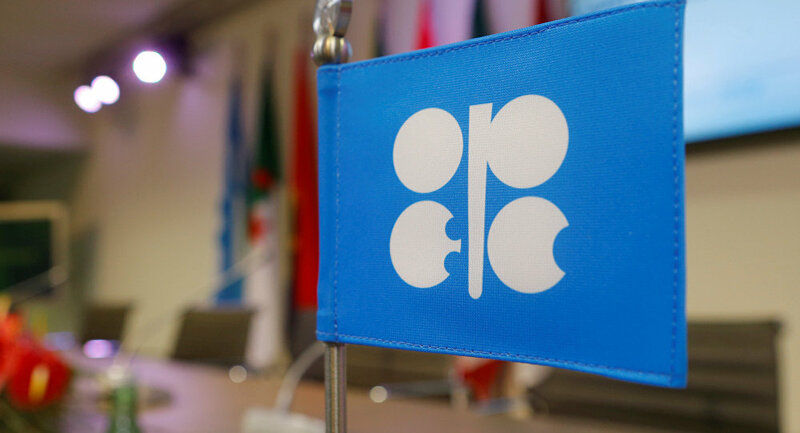 Saudi Arabia’s output drop will be based on global data analyzed by the OPEC-Non-OPEC Joint Ministerial Monitoring Committee (JMMC). Any output cut would be made to mitigate a potential future surplus created by the mismatch between the rise in OPEC+ output and the volume of waivers issued for Iranian oil. It is certain that 2019 will be the third consecutive year of OPEC+ collaboration. That’s not an American story based on social media sentiment or rumors of compromise put forward in the oil media that pit the US’ desire for low prices against global oil producer’s need for price stability. If there is a requirement to ease the flow of oil to rebalance oversupplied global markets, that step will be taken in due time. Reports that OPEC’s choices are becoming more difficult are deceptive because OPEC+ is about to complete two years of collaboration and move forward for the third year. It might be wise for OPEC+ to continue producing at the same level to stimulate the global economy as last month’s prices above $86 created a premature short cycle that helped neither producers nor consumers.